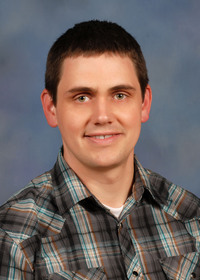 The information presented on this page was originally released on April 14, 2014. It may not be outdated, but please search our site for more current information. If you plan to quote or reference this information in a publication, please check with the Extension specialist or author before proceeding. 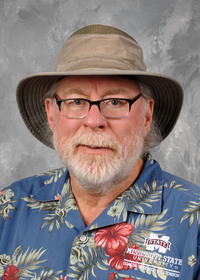 I’m ready for warm weather. I’ve had it with the cold winter that seemed much longer than it actually was. Bring on the summer garden. In my opinion, there are a couple of plants that seem to just scream “SUMMER.” Zinnia is one of them. One zinnia that is forgotten in some gardens is the family of Zinnia elegans, the cutting zinnia. 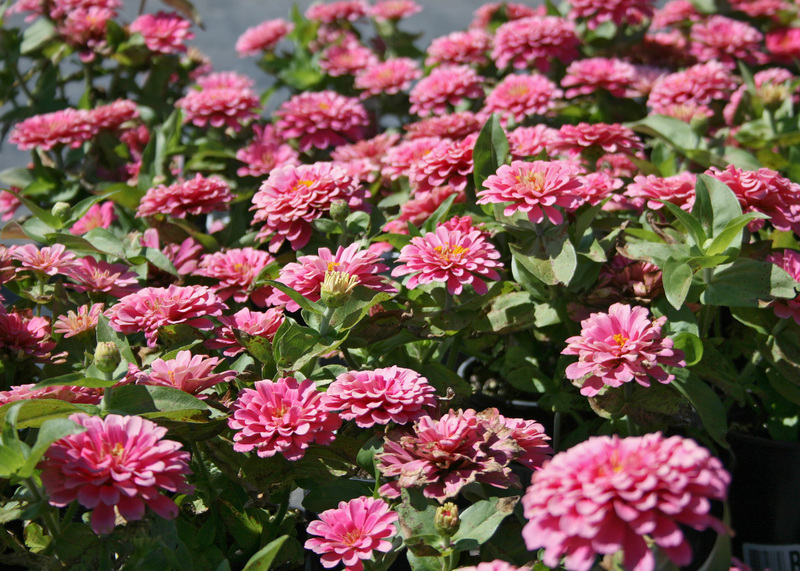 Benary’s Giant zinnia is a must-have for any home gardener who wants long-lasting cut flowers all summer. These plants are perfect as a background in the summer flower bed, as they grow to 30 inches tall. The stems are tall and sturdy enough to support their abundant yield of beautiful flowers. The flowers are fully double and huge, typically 3- to 4-inch diameter. With selective pruning, the flowers can reach up to 6 inches in diameter. These gorgeous flowers are available in a stunning mixture of pink, salmon rose, golden yellow, coral, golden orange, dark red, white and dark lavender. Benary’s Giants tolerate the high temperatures and humidity of Mississippi summers. As a bonus, these plants have a lower vulnerability to powdery mildew, which can be a problem with other Zinnia elegans. Magellan zinnias are shorter and stockier than some of the Benary’s Giants and have a mature height of about 18 inches. Because of their shorter, thicker stems, the plants do not require staking, even though their flowers are enormous. The flowers resemble dahlia-like pompoms and are available in single and mixed colors. I like mass planting the mixtures, as they look like a colorful carnival in the landscape. 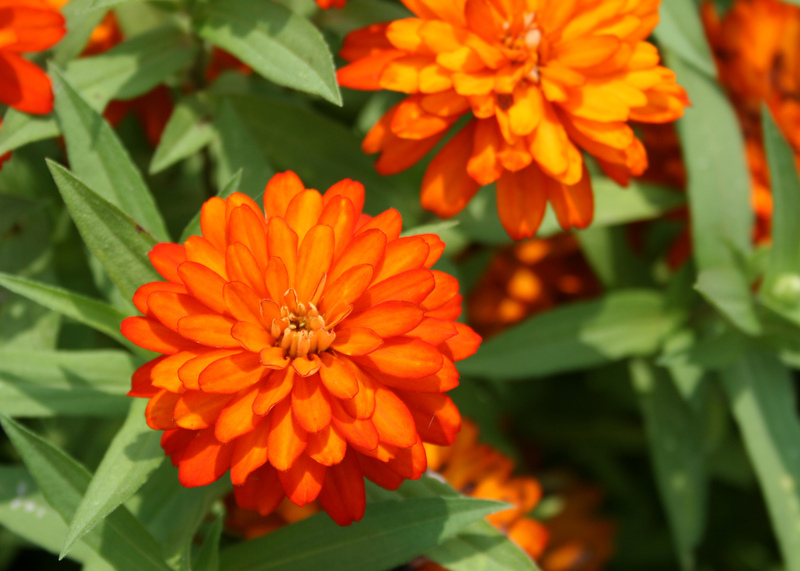 Zinnia elegans such as Magellan and Benary’s Giant benefit from deadheading fading flowers. This step encourages the development of new flowers throughout the season. But these are such great cut flowers that they are usually cut and brought indoors anyway. These zinnia selections have great vase life and can still look good after seven days. When collecting these flowers for vase use, always cut early in the morning. Select flowers that are not quite fully open, and they will continue to open in the vase. A key for cutting flowers is to keep a small bucket of water nearby. Cut the stem with sharp scissors or a knife and place the stem in the water immediately. There are products you can add to the collection bucket to help keep the flowers fresh. If you are interested in a zinnia that produces more of a mass-flowering effect, then you can’t go wrong with one of my personal favorites, the Zahara zinnia. This plant has robust branching to support its masses and mounds of flowers. They are also resistant to powdery mildew and a good choice for container gardening. 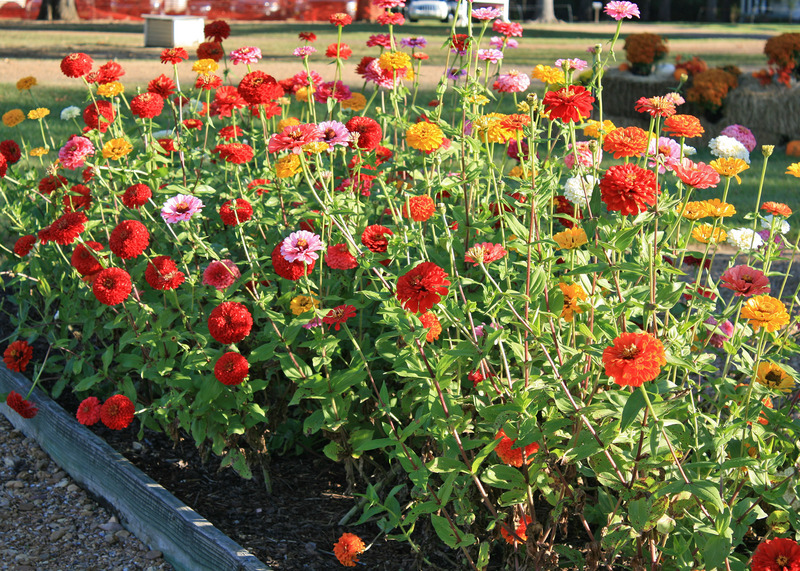 The zinnias I’ve described require very little ongoing maintenance during the season. Proper fertilization is critical to maintaining the gorgeous flowers. Meet this need with monthly applications of slow-release fertilizer. Use a 2- to 3-inch layer of mulch to maintain soil moisture. Zinnias tolerate dry weather, but the flower production is reduced, so be sure to provide supplemental irrigation when needed. Soaker hoses or other forms of drip irrigation are really useful in the summer months and help keep the water bill down.